After a couple of days in Jerusalem we took the bus to Tel Aviv and spent my final days in Israel in what is one of my favorite cities in the world. It was the perfect way to end my trip – after a few chilly days, the weather was sunny and warm, and we splurged on fancy hotel right by the beach. We did all the things I love doing in Tel Aviv: morning runs along the beach promenade, strolls through Carmel market and Jaffa flea market, eating lots of sabich sandwiches (I fit in two visits to the legendary sabich sandwich place on the corner of Frishman and Dizengoff Str). Luckily we took advantage of Tel Aviv’s bike sharing system, which I discovered during my last visit, and cycled off some of the calories. We wandered the streets of Old Jaffa, the oldest port town in the world, and went to the hipster neighborhood Florentin to hunt down new street art. We also checked out a brand new indoor food market where I had the only drink of my trip – an Israeli microbrew. I couldn’t leave Israel without trying at least one new craft beer, and we’d gotten to Tel Aviv just in time to break my ‘Dryanuary’ alcohol detox. 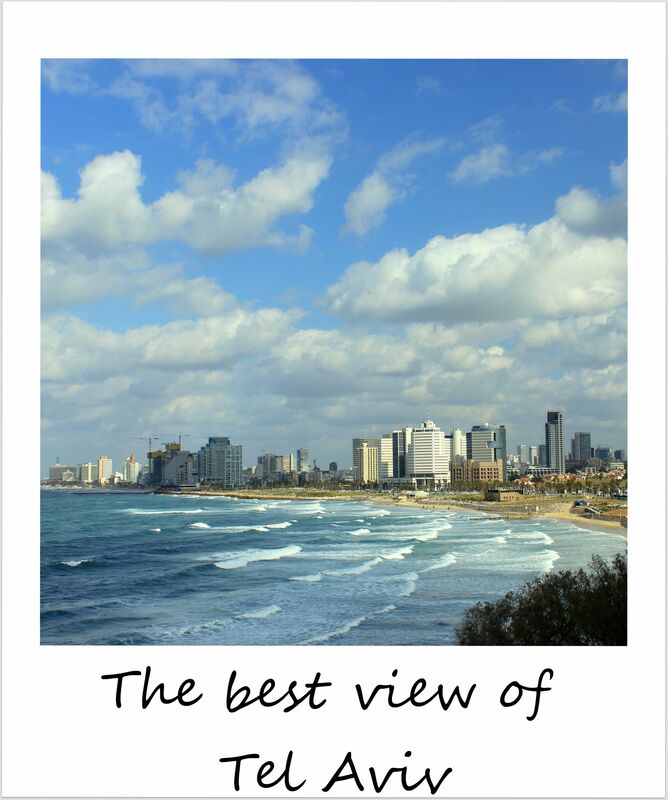 I took the Polaroid from a viewpoint I go to every time I am in Tel Aviv: right when you enter Jaffa, which sits on the far southern end of the city, there is a viewpoint halfway up the hill that offers fantastic vistas over the coastline and Tel Aviv. And every time I visit, there are new cranes, building new skyscrapers, adding to the constantly changing skyline. I can’t wait to see what it looks like when I return to Israel.